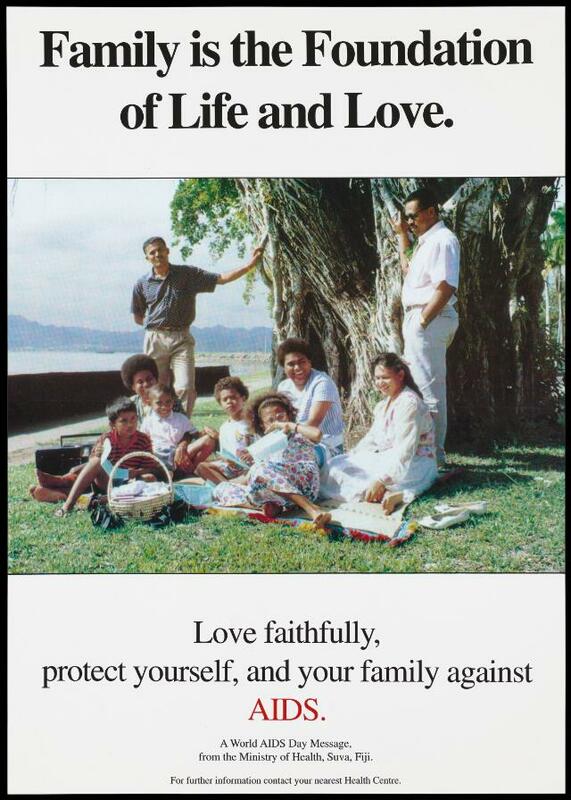 A large Fijian family having a picnic beneath a tree with a message to protect your family against AIDS; a World AIDS Day message in an advertisement by the Ministry of Health, Suva, Fiji. Colour lithograph. Family is the foundation of life and love. Love faithfully, protect yourself, and your family against AIDS. A World AIDS Day Message, from the Ministry of Health, Suva, Fiji. For further information contact your nearest Health Centre.